Many Organisations are now trying to standardize the way in which projects are estimated. This is usually done by using a project spreadsheet set up by the Business Analyst team. Basically this sets out to take away the estimating ability from team leads and the project manager by setting out the standard resourcing required, depending on whether the project is considered to be Small, Medium or Large. So for example it might specify that for a large project a team of at least 10 programmers will be required during the development phase with a further 5 programmers and 1 Team Lead required to support the various testing phases. Now the spreadsheet is normally set up based on the previous projects and the resources / time required to deliver them. It is also updated based upon each project which is completed to ensure it keeps being fine tuned. In theory at least it should provide an extremely accurate way and objective way in estimating project costs. Therefore all you should have to do is determine with your BAs what size ranking your project falls into based upon the Business Requirements Specification (BRS) and then either send the project costing spreadsheet out to the relevant Workstream Leads to fill in or else simply do it yourself based upon the project plan you will have already have detailed. And then voila you have completed the task of creating a project budget! The reality though is that nothing is that simple in project management. After all no project is exactly the same. Further if the project contains any kind of complexity this makes it even harder to follow this cookie cutter approach even though this is what many Organisations (particularly IT and Outsourcing consultancies insist on following. Using this kind of cookie cutter approach will lead to higher estimates than could otherwise be achieved. Just because the spreadsheet states a certain level of resourcing should be used on your project, does not mean that that level of resources are actually available. This is key. There is no point simply having resources to make the numbers up; you must have experienced resources who actually add value and will ensure deadlines are met. 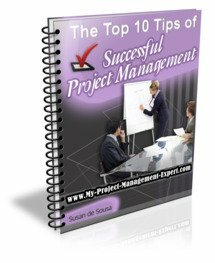 Lastly if you are a newbie Project Manager than using this approach will stand you in good stead until you are experienced enough to use the subjective approach to estimating project costs, which is where the experienced project manager ensures they de-risk both their project delivery, but also any impact to their own reputation.